Online Registration and Online Donations have now closed. You can still register in person at the dates and times listed below under Registration Options, or make a Donation on race day. 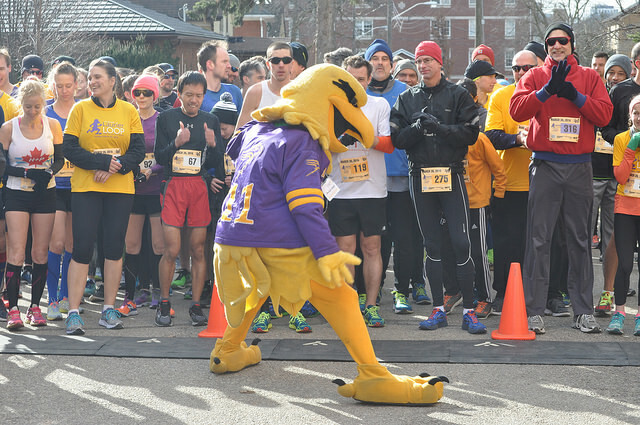 The Laurier Loop is fun and challenging running event held at Wilfrid Laurier University. The loop itself is a certified 2.5 KM loop around the main campus. How many loops will you run? Choose to run the circuit 1, 2, or 4 times for a 2.5k, 5k, or 10k run, OR round up your friends and compete in the 4x2.5k relay. The looped nature of this race makes it exciting to watch and participate in, and very spectator friendly. It is our objective to organize a fun, safe, and healthy athletic event for citizens of the Waterloo region and beyond, while maintaining a community responsibility to local charitable organizations and their causes. This event is organized in partnership with the Sun Life Financial Centre for Physically Active Communities and the Kinesiology KP 344 class. One leg of a 4-person relay. All teams must have exactly 4 different people. Create or join a team during or after registration. Price includes tax. Mail in: To 2 Weberlyn Crescent, Conestogo N0B 1N0 by Tuesday March 6 at 5:00 p.m.
Drop off: At Runners’ Choice, 55 Erb St E, Waterloo by Tuesday March 6 at 5:00 p.m.
Online: Right here at www.RaceRoster.com by Wednesday March 7 at 6:00 p.m.
Wilfrid Laurier University Science building, Sunday March 11, 10:00 a.m. - 11:30 a.m.
Time Limit: The time limit to complete the course is calculated at 10 minutes per kilometer. Starting at the half way mark, if a participant does not reach a km mark by this calculated time, the participant will be asked to move to the sidewalk and finish the race as a pedestrian, unassisted by race support. Participants are asked to familiarize themselves with the course route if this situation might be a possibility to them. We wish to minimize traffic disruption caused by our event, and value the support of Police services regarding participant safety, and trust you understand our position. START: 12:00 p.m. Starting and finishing at Wilfrid Laurier University. - From Hwy. 401, take Hwy. 8 West to Hwy. 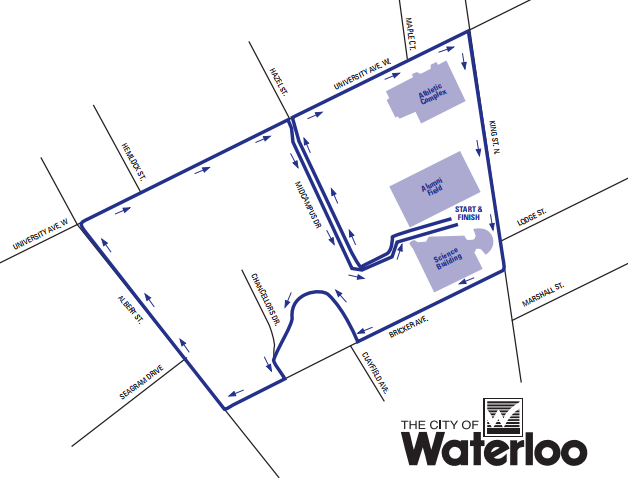 85 Waterloo to University Ave. W. (the second exit) to King St. N.
All 2.5 KM runners (individual and 4 person relay) are competing in the same categories based on CHIP TIME. Relay (4 runners x 2.5 KM each) MUST have exactly 4 runners. 5 KM and 10 KM events compete based on the usual GUN TIME. To the Top 3 Overall Male & Female, the Top 3 Masters Male & Female, and to the Top 3 Male & Female finishers in each age & weight category (no duplication). NOTE: 2.5 KM awards are based on all 2.5 KM runners (individual and relay) and are based on CHIP TIME. 5 KM & 10 KM Events: To the 1st Place Team in each Team Category. All unclaimed medals will be available for pickup at Runners' Choice any time after Monday March 19, 2018. Enjoy a post race massage, draw prizes and a variety of refreshments following your run. Run Fast. Run Often. Get Points. RW Boost is a new social competition and loyalty program that is free to Run Waterloo members. Note that for booster points, all relay runners will get credit starting in 2018 and going forward, but not for historical relays. 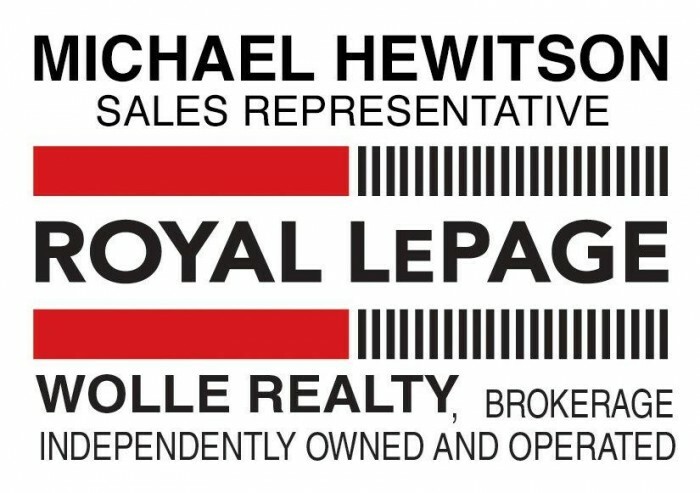 The sponsors recognized on this page have generously contributed financial support, products and/or services to The Laurier Loop and we encourage your ongoing support of these generous companies and organizations.